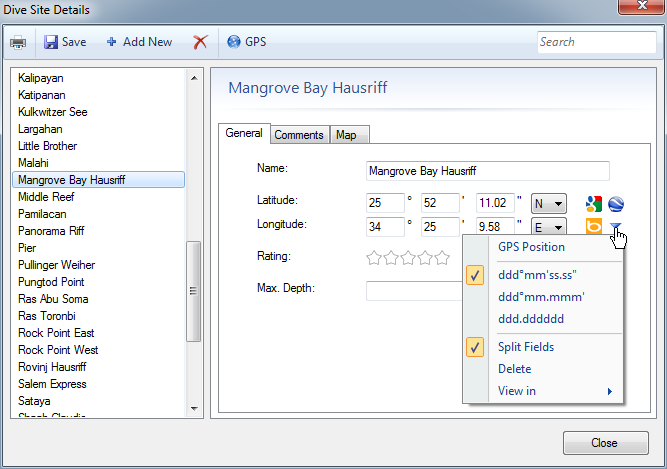 When you click the new “GPS” button in the toolbar, Diving Log will retrieve the current GPS position when a GPS device is connected. 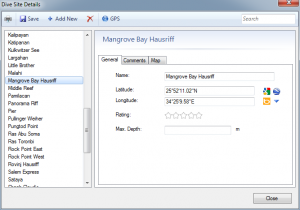 If you have a Windows Mobile phone with GPS you can use the phone as GPS device for your PC (click here for instructions). 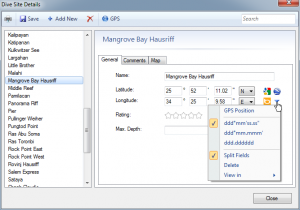 In this version you can switch also between several coordinate formats for latitude and longitude and view dive sites easily in Google Maps, Google Earth and Bing Maps. Please let me know how these new features work for you. 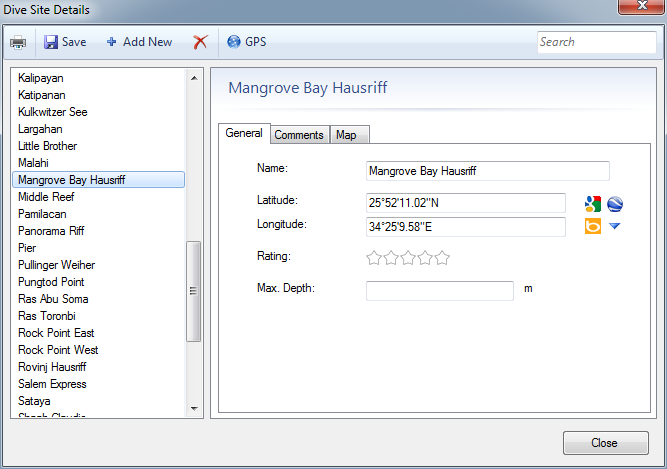 This entry was posted on Friday, September 10th, 2010 at 11:04 pm and is filed under Diving Log 5.0. You can follow any responses to this entry through the RSS 2.0 feed. Both comments and pings are currently closed.